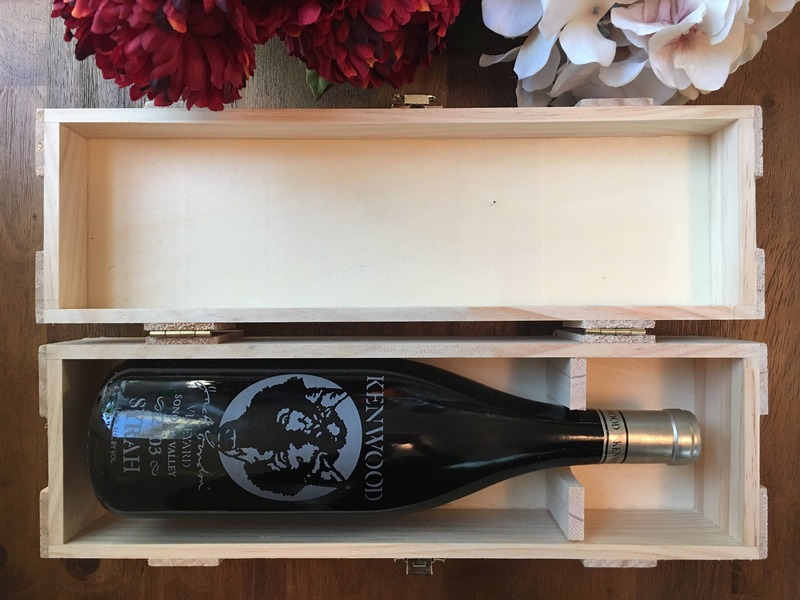 Personalized Wooden Wine Box - Choose from 7 Different Designs or Design Your Own! 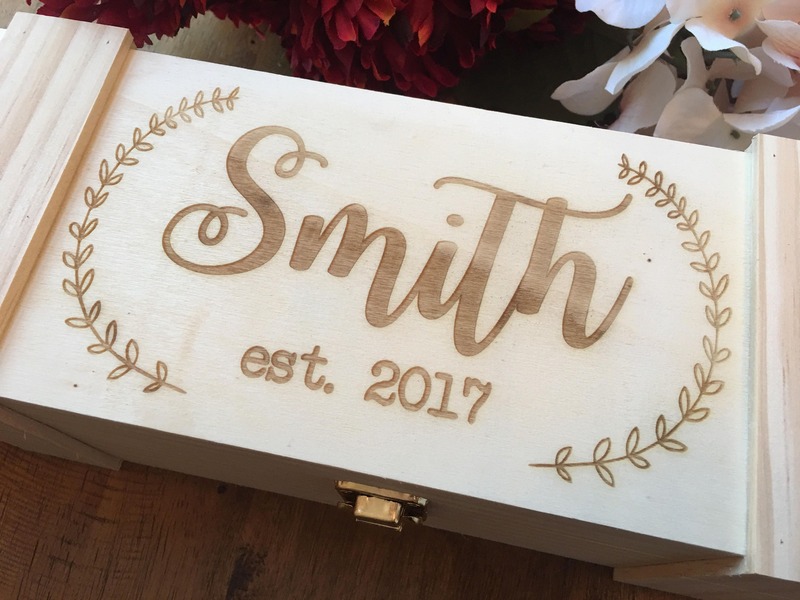 Laser engraved to perfection with the custom name/names and date or the of your choice. 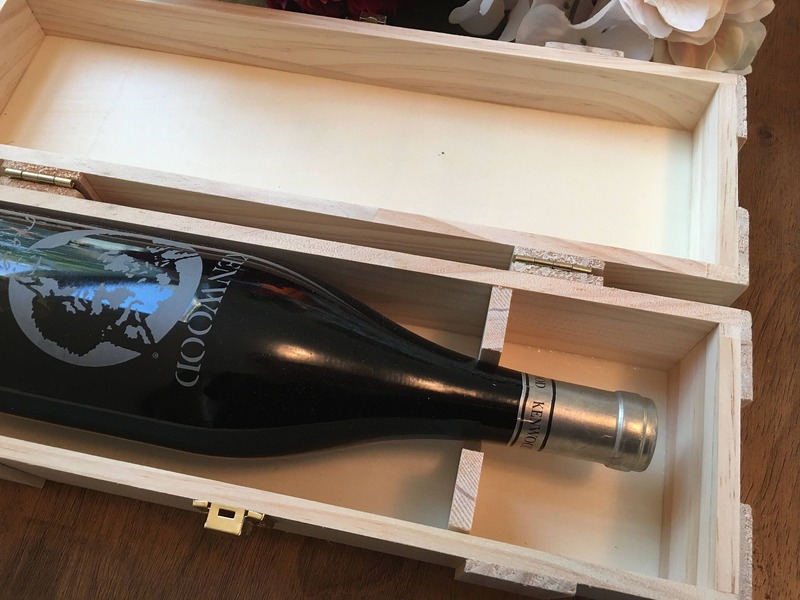 This beautiful, laser engraved, wooden wine box will become a treasured keepsake. 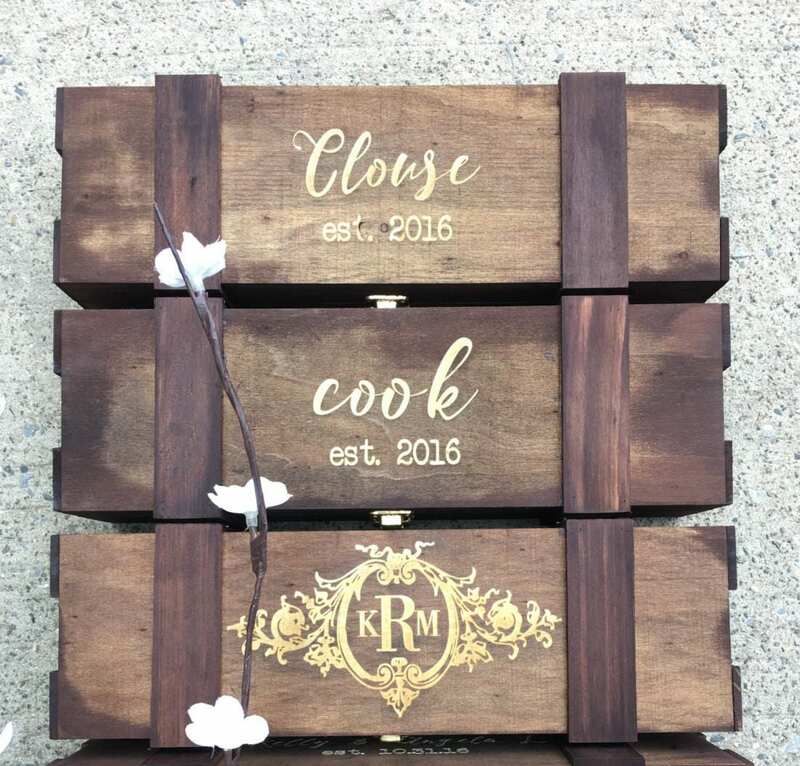 Choose from 8 different Design Options, Natural Wood or add a Walnut Brown stain. 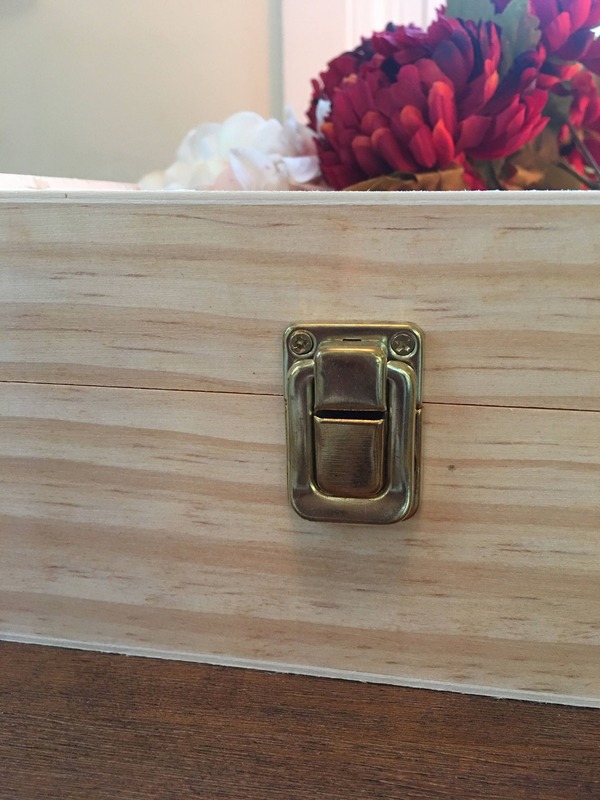 You can find the Design Options in the photos section of the listing. If you select Design #8, that is choose your own. 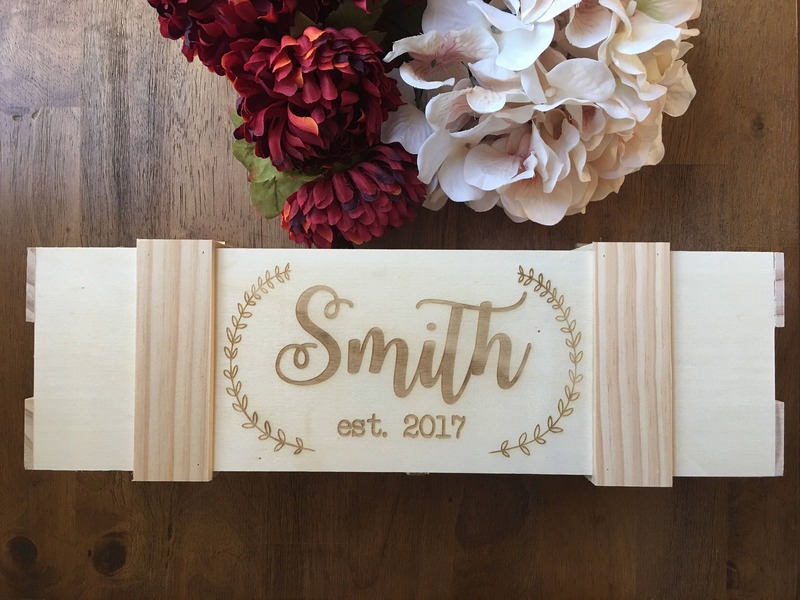 Choose your own allows you to engrave up to 3 lines of text and choose your own font for each line. 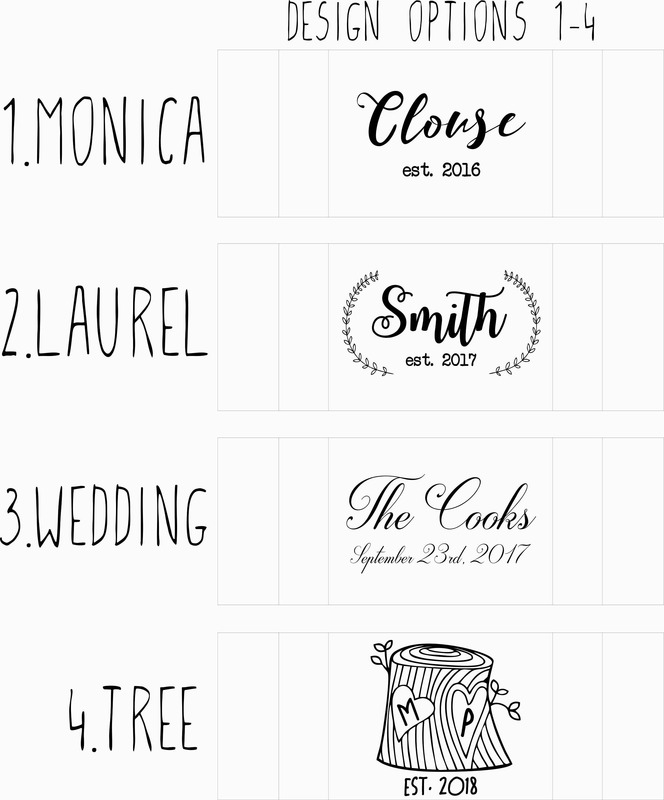 The font list can also be viewed in the photos section of this listing. 1) From the 1st drop down menu, select from Design Options 1-8. In notes at checkout indicate the name(s) and date you would like inserted into the pre-made design you selected. 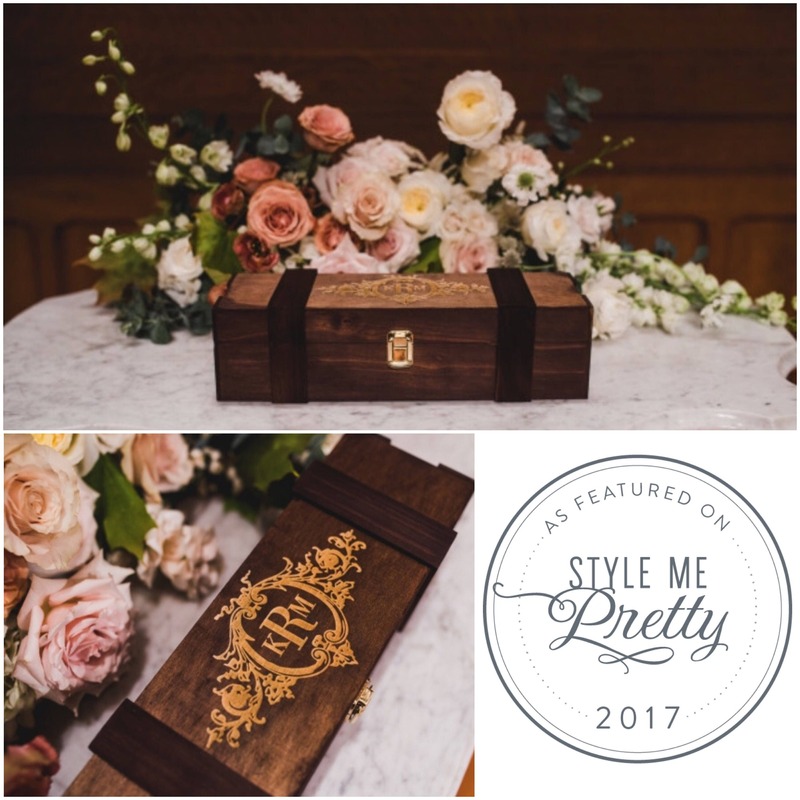 Your box will be laser engraved exactly as pictured replaced with your custom name(s) and date. If you select Design #8, that is choose your own. 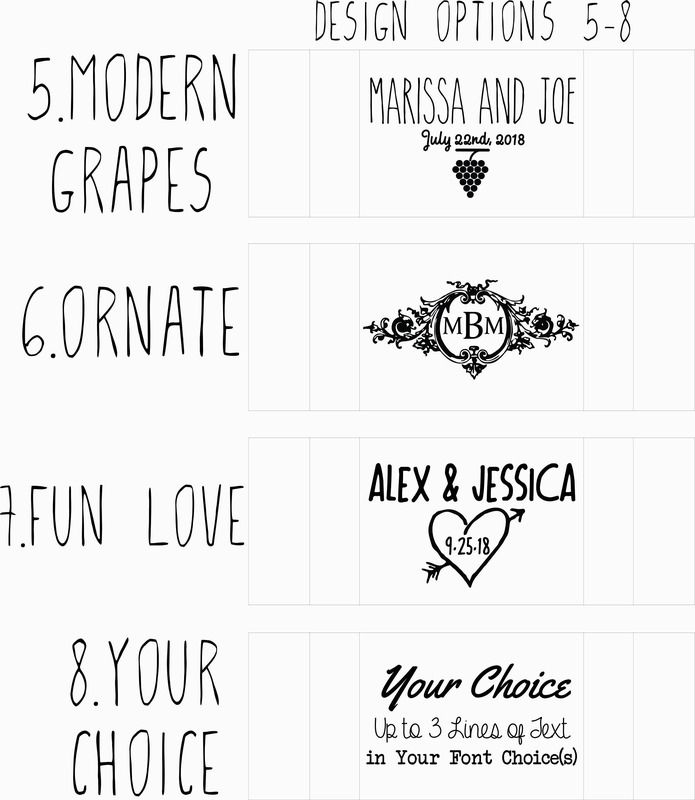 Choose your own allows you to engrave up to 3 lines of text and choose your own font for each line. 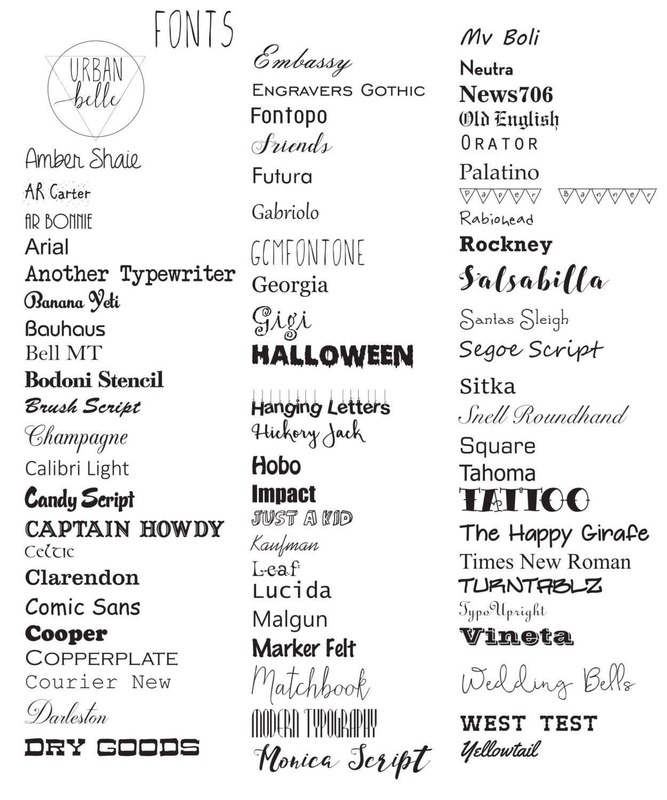 The font list can also be viewed in the photos section of this listing. In notes at checkout indicate your custom engraving request. 2) From the 2nd drop down menu, select from Finish Options. You can choose either natural pine or add a walnut brown stain.